We are pleased to announce that we now offer cryolipolisis treatments to our patients. Cryolipolysis (fat freezing)is the safe, effective, nonsurgical removal of stubborn fat deposits using a fat freezing machine. Cryolipolysis is a relatively new cosmetic procedure which has become popular due to its effectiveness and lack of significant side effects and downtime. Exposure of the above areas to freezing causes the fat cells to die before the surrounding tissues and the skin are affected. The dead fat cells are subsequently removed from the area by the immune system over the ensuing 12 weeks. The fat loss from the area is permanent. takes 45 minutes to 1 hour/area. 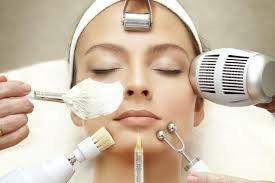 During this time patients can have an additional procedure: facial, chemical peel or laser rejuvenation in order to make the most out of their time. 2 different areas can be treated at the same time to save you time.